For some reason I get a lot of questions about how to create a resume from a LinkedIn profile. 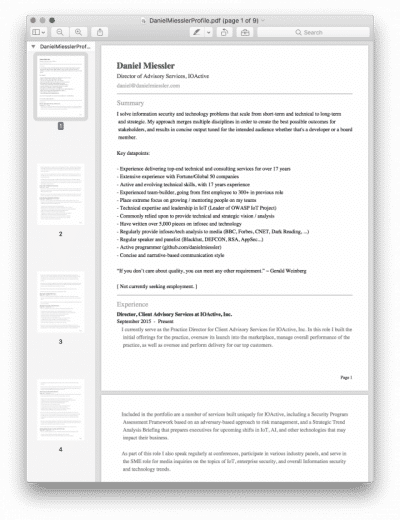 I love this functionality because I find it much easier to keep LinkedIn updated and print a resume from there, rather than updating Word docs or whatever. Click the “Me” icon towards the right side of the bar at the top. Select “View Profile” from the pulldown menu. 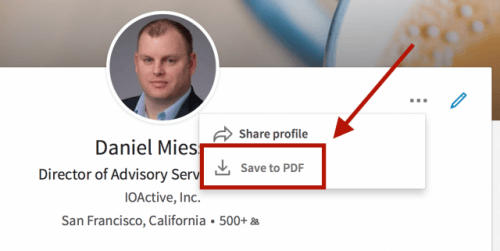 Now you’ll get a PDF download of your LinkedIn resume that you can share with whomever. 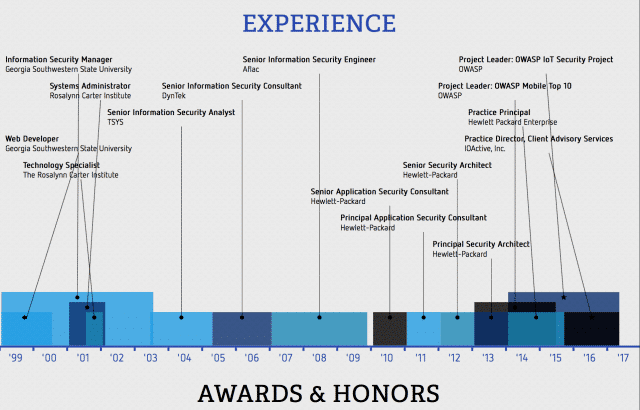 To stand out for more casual inquiries, you can share a visualization of your resume via another LinkedIn integration called Vizualize Me. 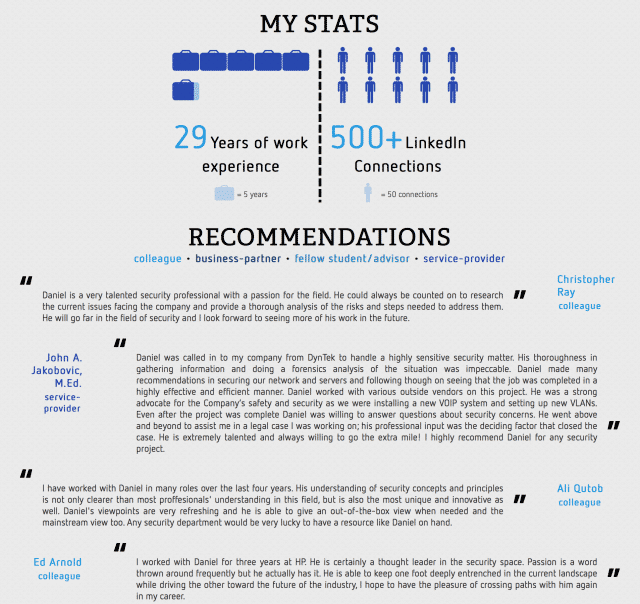 It connects to LinkedIn, pulls your information, and turns it into an infographic. Here’s what that output looks like. I hope this helps someone, and if you have any questions feel free to reach out. 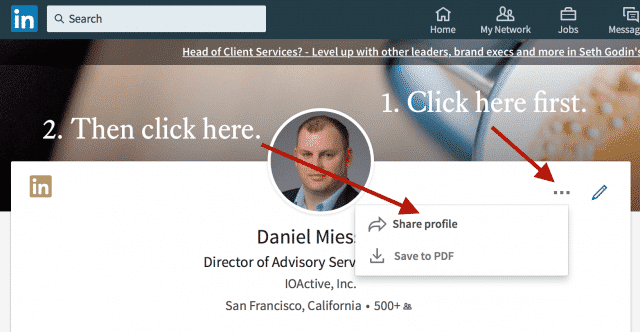 Because it’s so easy to create both a PDF and visual resume using LinkedIn, and because it’s basically the go-to platform for looking up someone’s professional profile, I recommend that people use LinkedIn as their source of truth. Forget having 20 versions of your resume floating around. Just keep LinkedIn updated and print it out using this method when you need to.